Home » Videos » Going, Going, GORUCK…My Next Event. One of the appeals to the CrossFit fitness methodology is that it prepares you for day to day life activities by promoting movements that equate to functional fitness. Squats, Deadlifts, Presses, Pulls. These are things we do on a daily basis, especially if your job is in law enforcement, fire and rescue or our nations military. 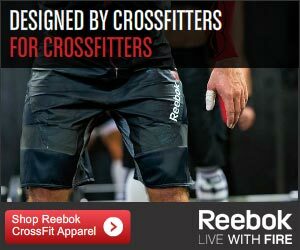 One of skill areas of CrossFit revolves around “playing a sport” or, simply translated, using your fitness outside of the gym. Recently I’ve decided to attempt a GORUCK challenge. 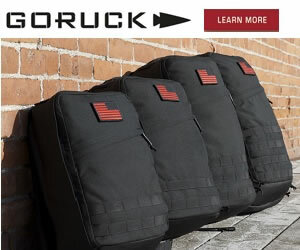 GORUCK was and still is at it’s heart an equipment company. They build quality backpacks and accessories that are tough enough to be used by our nation’s military. It was because of this that GORUCK’s founder decided to create an event to test the endurance of his GORUCK packs. The event caught on with the public, and the rest, as they say, is history. GORUCK offers a few different event levels, Light, Challenge, Heavy, and Selection. Each event varies from a few hours (Light) to 48 hours (Selection). The events consist of mile after mile of “rucking” or moving around with your rucksack/backpack (they suggest a GORUCK pack, but any will do) as basic movements such as push ups, flutter kicks, etc… For more details, check out the event info for the 8-10 hour GORUCK Challenge that I’ll be doing. The pack will be weighted down the entire time with a minimum of 40 pounds (30 pounds if you weigh less than 150lbs). Also each of these events are run by ex-Special Forces “cadre” that will push you to your breaking point. Now they won’t try to make you quit, unless you’re doing the Selection event, but they will break you down as an individual and build you back up as a team. Very cool stuff. Now what does this have to do with CrossFit? A lot actually. I’ll be tailoring my programming to focus a lot on working overheard (think Log PT, but with a rucksack instead of a log) and with a goal of peaking around mid July when the event takes place. Also look at the time, 8-10 hours. Physically I will break down. It’s going to happen. It’s just a matter of when. The remainder of the time, it will simple be mind over matter. Forcing myself not to complete the event, but take one more step. Do one more pushup, pickup the pack 1 more time. Sound familiar? Even been in the middle of a WoD and be thinking something similar? I’ll be sharing my knowledge and training with you as I go. As included in the video above, is an explanation of how I pack my GORUCK backpack. It includes the weights, and how I loaded it out for comfort for 12 hours worth of wearing it. As a note, I have worn the pack some and the weight is deceptively light. It’s like thrusters at 75 pounds, you start out and you think “oh this isn’t that bad” 10 minutes later you’re dying. So part of my strategy for this event will be holding back just enough so that I don’t blow all my energy during the first few hours. Check the video above for a lot more info that I provided here and make sure you check out GORUCK as well, even if you don’t want to do one of their events, they make some pretty cool gear. And if you’re in the market for a gym bag, don’t forget to check out my review of the King Kong Apparel line of gym bags. « Previous PostKing Kong Apparel & What’s In My Gym Bag?